Although BMWs are mechanic wonders that provide their drivers with an exquisite driving experience they’re not immune to certain predicaments. Even BMWs run out of gas. That’s when you call a towing company. However, when you call someone to take care of your beloved BMW, you want them to handle your car as if it were their own: gently, carefully, thoughtfully. You want them to be professional and speedy, yet courteous. You want them to be Fort Worth Towing. 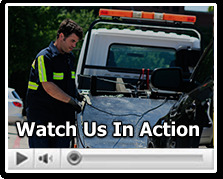 Besides offering a wide range of BMW roadside assistance services we and our network of independently owned and licensed affiliates maintain a constantly manned dispatch center so you’ll always be able to get hold of us, numerous crews at the ready so we’ll always have someone available who can get over to your location and take care of your BMW, and extremely highly trained technicians so we’ll be able to meet your any and every BMW need.